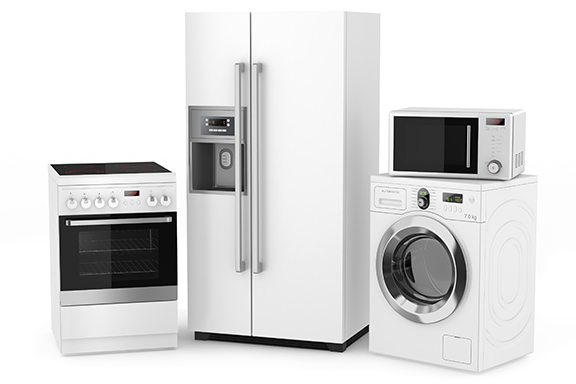 Edgeworth Appliance, a locally based company, has provided trustworthy appliance repair in Burlington, MA that residents have depended on since 1962. Today, our company continues to earn your respect with our warrantees and guarantees on all services. For more than 50 years, families have relied on us to respond in times of appliance emergencies. Throughout the years, we have worked to build a reputation based on solid work and low, affordable rates. Here at Edgeworth Appliance, we pride ourselves on same-day services and a typical 24-hour turnaround because we understand what it's like to not have that appliance you rely on. We have served area homes and businesses throughout greater Burlington for more than five decades and we have come to understand our customers and your needs. Have a question about your appliance? Ask Dave. Call today at (781) 322-2953 with any questions or to schedule an appointment for appliance repair. ​For appliance repair in Burlington, MA that you can trust to be there when you need it at rates you can afford, you can count on us.